This handbook is a compilation of the current practical knowledge of flexible manufacturing systems (FMS). FMS allow manufacturing plants of all sizes to reduce their inventory while increasing their ability to meet consumer demands. By controlling automatic guided vehicles, robots, and machine tools with one central computer, products can now be produced in a variety of styles and models all at the same time. FMS are designed to adapt quickly and economically to changes in requirements and to unpredictable events. This guide explains how to effectively employ these useful new systems. Industrial engineers, managers, researchers, and technicians. A. Kusiak, Planning, Scheduling, and Control of Flexible Manufacturing Systems. V.S. Sohoni, Computer Control in Flexible Manufacturing Systems. G.W. Fischer, Computer Software for Flexible Manufacturing Systems. S. Adiga and M. Dessouky, Flexible Manufacturing Systems Simulation. W.D. 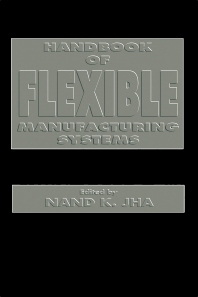 Engelke, Databases in Flexible Manufacturing Systems. A. Kusiak, Group Technology in Flexible Manufacturing Systems. A.M. Behrens and F.F. Choobineh, A Practical Method to Represent Uncertainty in Flexible Manufacturing Systems Justification. J. Browne and J.F. Timon, Design of Flexible Assembly Systems Using Simulation Modeling. A.K. Patankar, Flexible Manufacturing Systems: A Survey of the U.S. Applications. H.J. Warnecke, Factory of the Future. Index.